So I guess like $1000ish total. 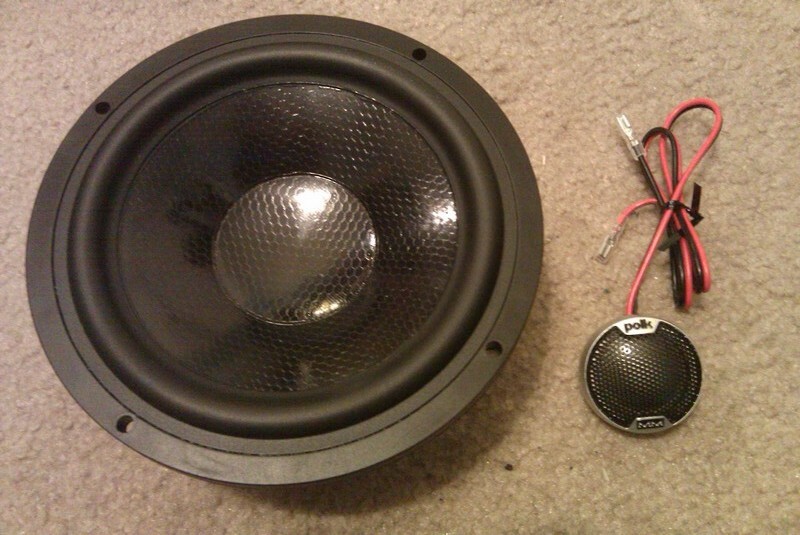 I didn't count in any of the speaker upgrades or stuff like that because it's mostly unnecessary. 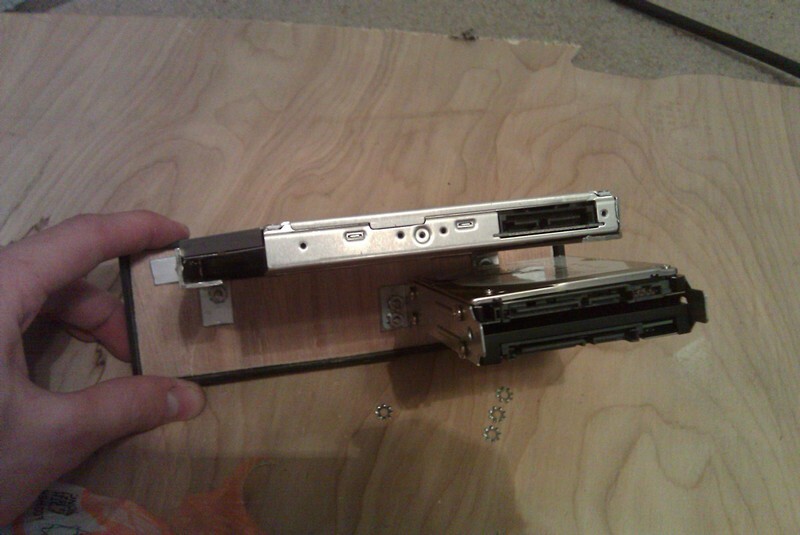 A lot can be cut back as well if you already have PC parts, don't care about really fast boot times, have an easy dash to put a screen in, etc. If you consider that a car's nav system tacks $2000 on to the price I don't think it's so bad. 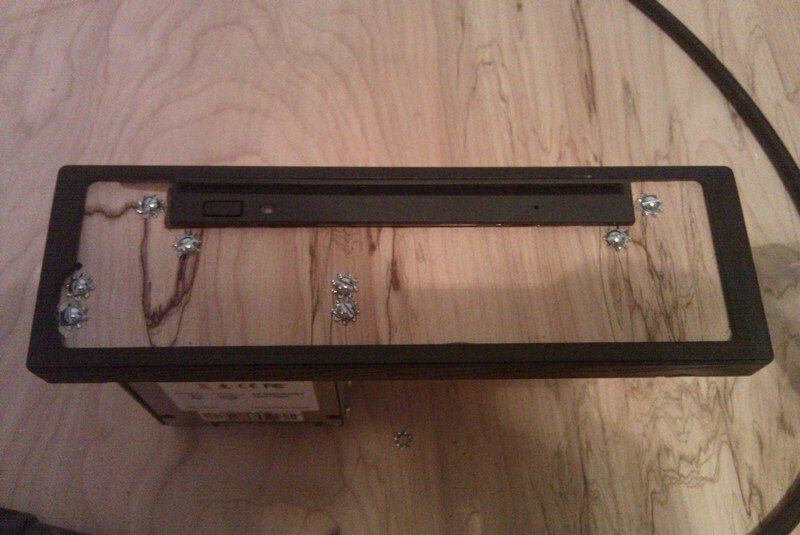 Mounted the hard drives and the CD-ROM drive last night. 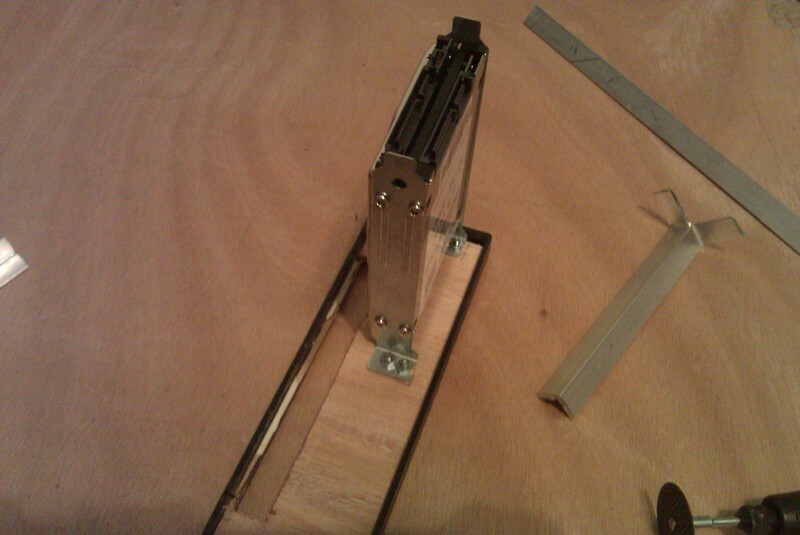 They are cantilevered from the upper wood panel. 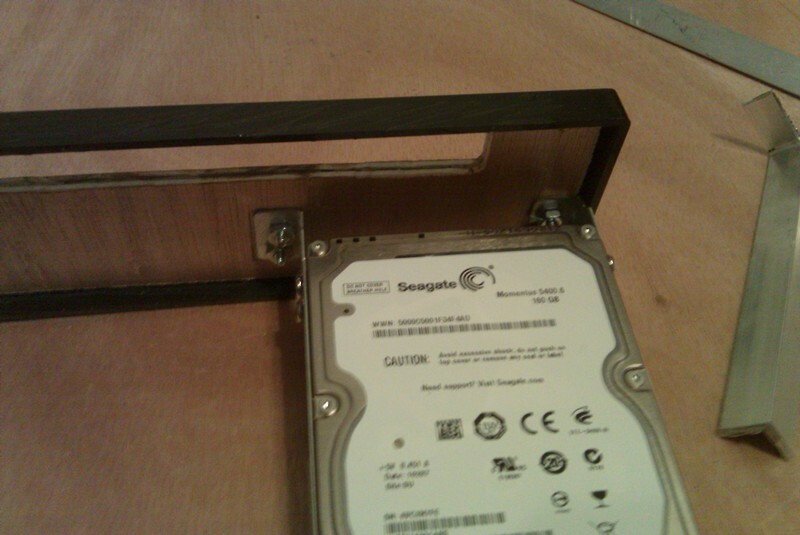 The rails for the hard drives kind of slant downward (I guess I screwed up a little) but they are still a decent distance from any other components that they won't be hitting anything even on the worst of bumps. 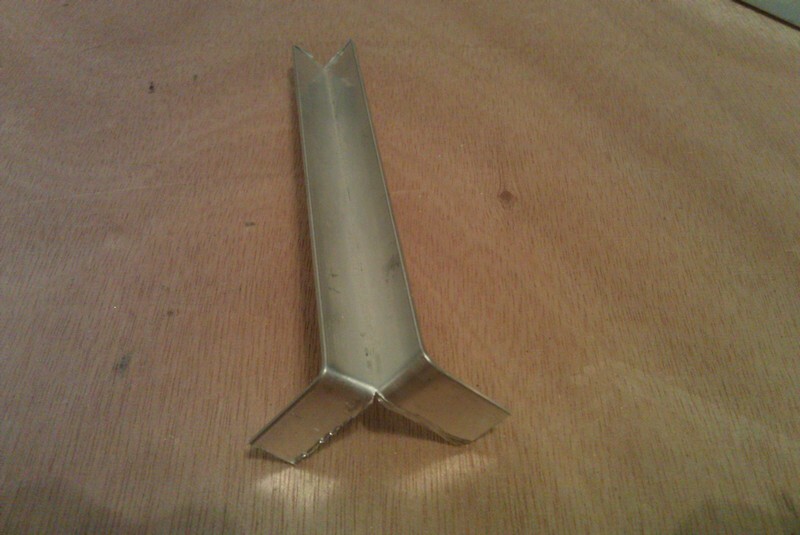 Yes, there are screw heads on the front, but remember that that will be filled with Bondo in the near future. 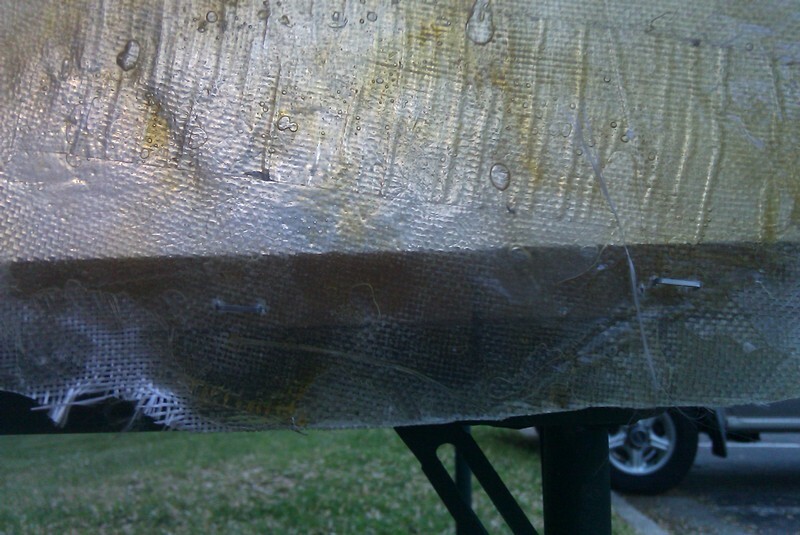 They are below the surface, so they will definitely be covered and then painted over. 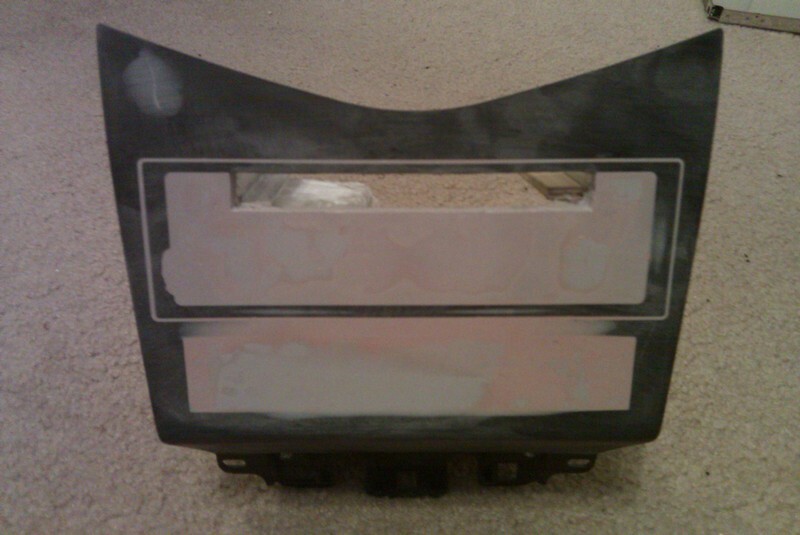 So is your plan just to fill the front parts with bondo then paint it, or are you gonna do anything fancy? I still can't get over the size of this thing. That's it, nothing fancy. The only thing that is going to be showing is the slot-load DVD burner. 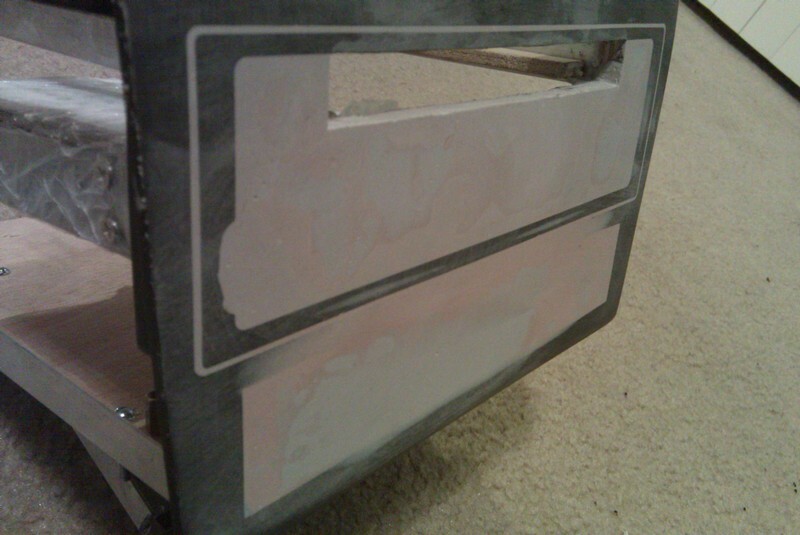 Then I get to move on to the more challenging part: molding the screen into the upper portion of the dash. You can see in one of my previous photos where I plan on putting it. 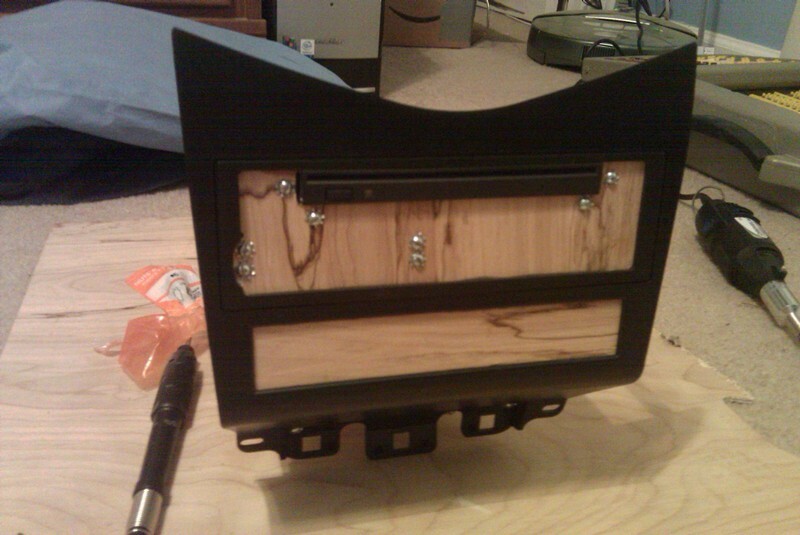 I have the new upper dash piece that I'm going to hack apart, but I haven't done anything with it yet. Hopefully I get some free time this coming week. It's project presentation time for my last grad class. Exciting times. 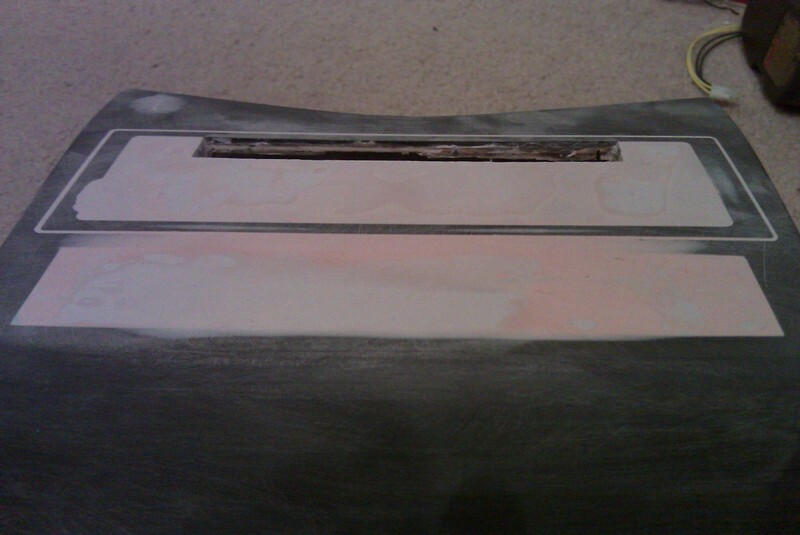 Did some of the Bondo work, need to get back to school work though. 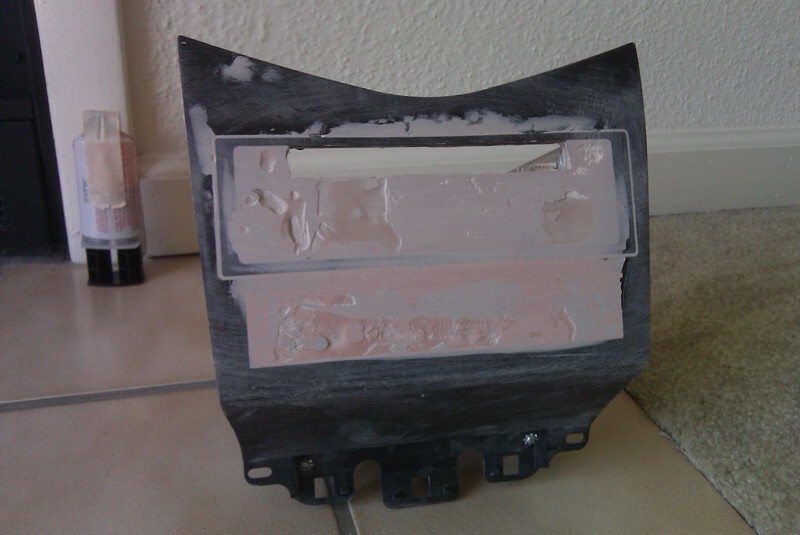 I love the smell of bondo! 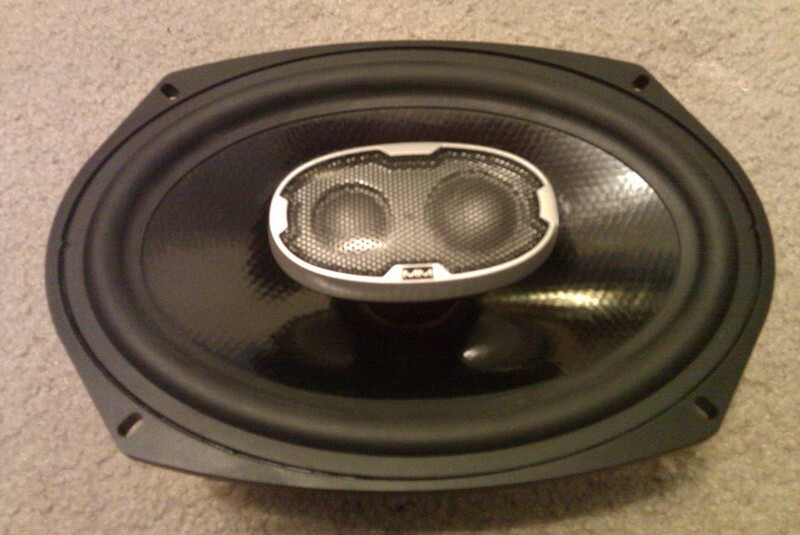 And I'm looking forward to the soon to be fiberglass resin smell as it's almost time to do the subwoofer enclosure. 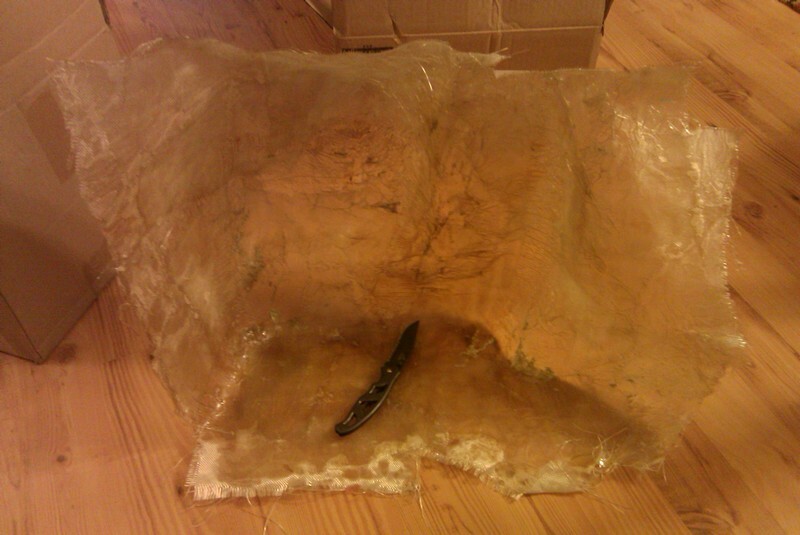 I did actually manage to finish the Bondo work yesterday I just didn't take a photo. 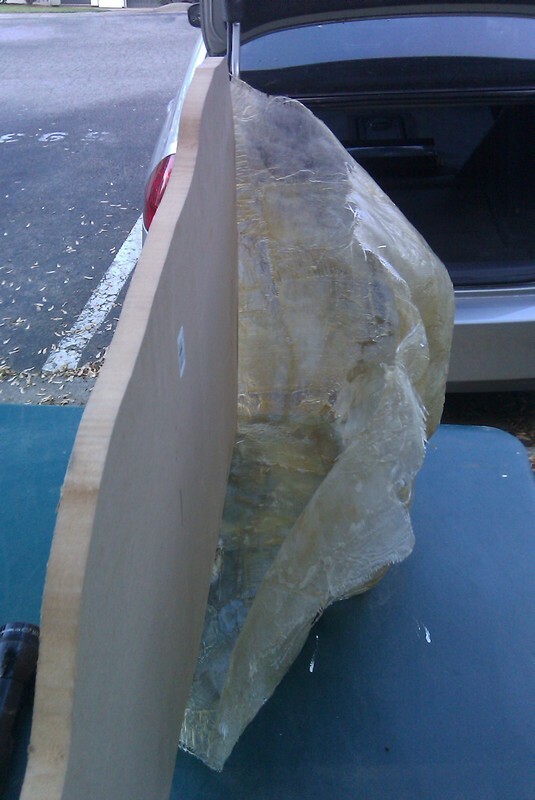 After work today I'm hoping to unbox my new speakers that just arrived and then maybe make a run to Lowes or Home Depot for some fiberglass mat, resin, 3/4" MDF, wood glue, primer, and paint. I think I should go with silver paint on the lower case, but well see what I come out with. I may have to go to an auto parts store to find the color that I want. Well last night I got home late again, but I figured I'd just take some photos. I really need to switch to using my camera again instead of my phone, but I've been lazy. I was actually pretty busy this weekend though I didn't take any photos of it because of how much dirt and other junk was on my hands. 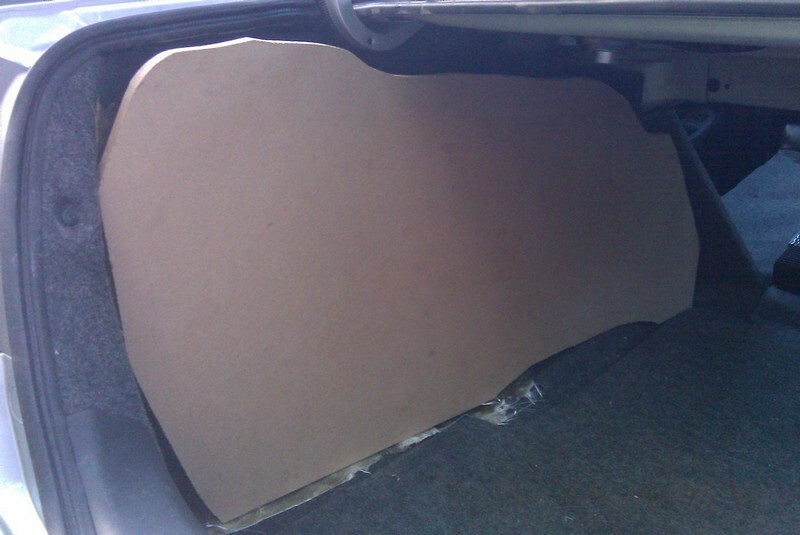 I did get all of my wiring upgraded (I should take a photo or two, but it's dark now), I found out what has to be done to get the front door speakers in (need to make rings of MDF), made a fiberglass mold of the side of the trunk, and cut wood to be placed in front of the fiberglass where the sub and amp will be mounted to. Nice! 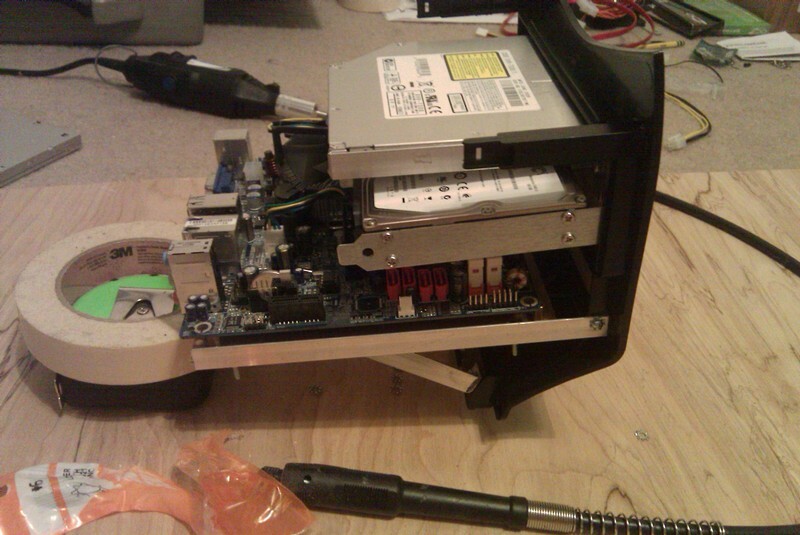 God I miss the day's of custom installs. 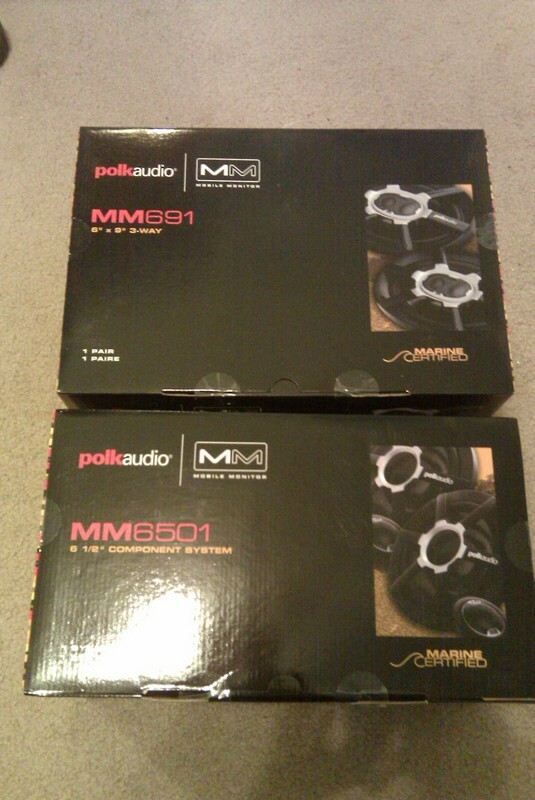 You have excellent taste in audio equipment. 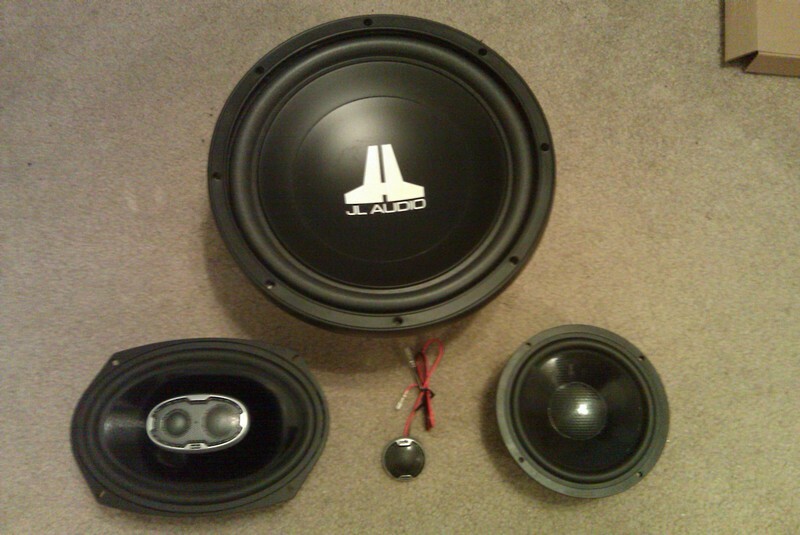 The last stereo shop I worked for carried all the good stuff...MB Quart, JL Audio, Precision Power amps (I was running 2 PPI Pro Mos amps, a 2 and 4 ch. at 1 ohm), and of course the best (imo) head units, clarion. What I wouldn't give to get back into the high end custom stuff. We were just about the only shop in the area that did custom fiberglass stuff, and we were big into motorization. One of our biggest customers was a big time drug dealer from Chicago who would buy new cars and not hesitate to drop 6-8 grand on a custom job. We used to do it all...interiors, paint, wheels...all the fun stuff. It's lookin good and bringing bacl some good memories. I can't wait to see this all done!